TWO Covers Reveals and More! I am so excited to show off the TWO covers I’ve just been given permission to show off! 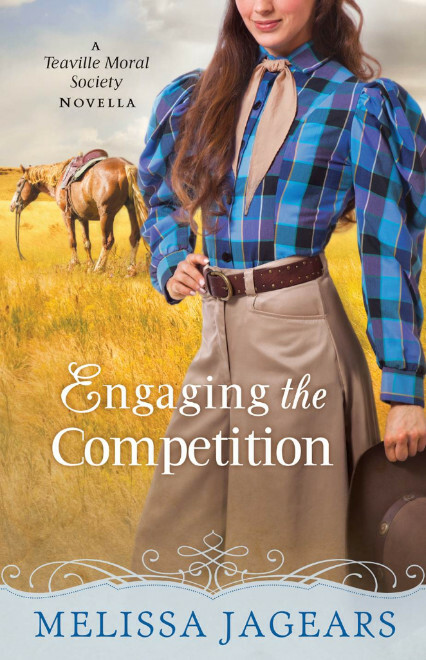 If you are a fan of Karen Witemeyer, Regina Jennings, or Mary Connealy, you may have gotten a peek at the first cover, but I have a special one all my own! Both stories are Teaville Moral Society Stories! 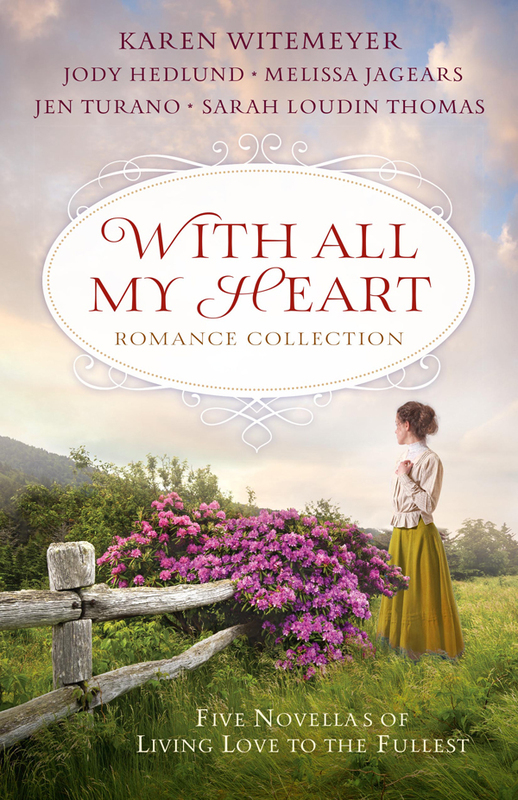 The path to love is filled with twists and turns in these stories of entangled romance with a touch of humor from four top historical romance novelists! 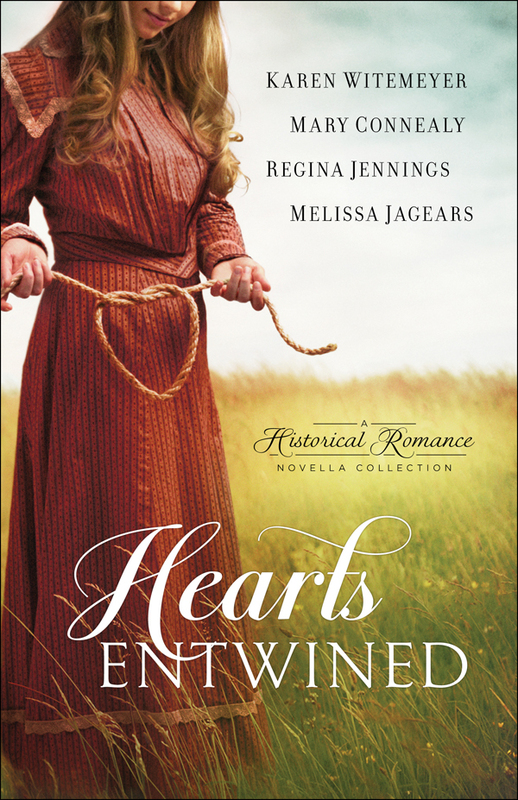 Includes Karen Witemeyer’s The Love Knot, Mary Connealy’sThe Tangled Ties That Bind, Regina Jennings’s Bound and Determined, and Melissa Jagears’s Tied and True. Each one of us wrote a story to highlight how love gets us all tangled up! 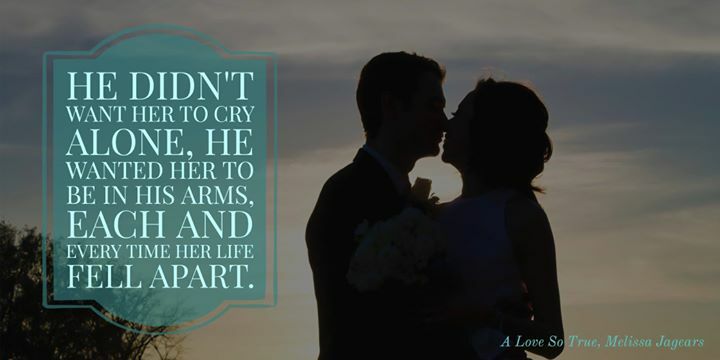 I had a blast writing an heiress pursuing the man her heart was tied to, but when he hesitates because of their socially unequal standing, she’s determined to show him how strong their bond could be. 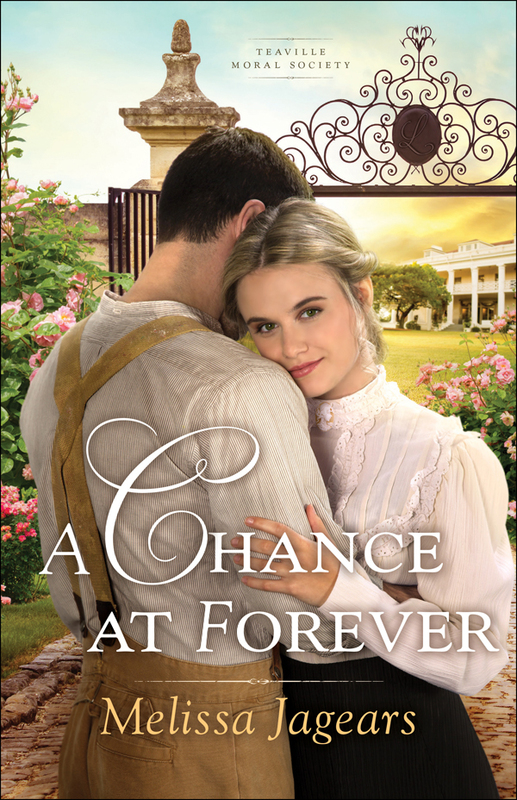 This one is set in Kansas City, but concern for the less fortunate is still highlighted with these cameo characters from the end of A Love So True. Hearts Entwined Releases January 2, 2018! For those of you who have asked who the next heroine is, I’m happy to say it’s Mercy! Mercy McClain joined the school board to protect the children of Teaville, Kansas, from the bullying she experienced as a child. When the worst offender from her school days applies for a teaching position, she is dead set against it. Yet Aaron Firebrook claims to be a changed man. Can he earn Mercy’s trust–and her support for the challenges to come? 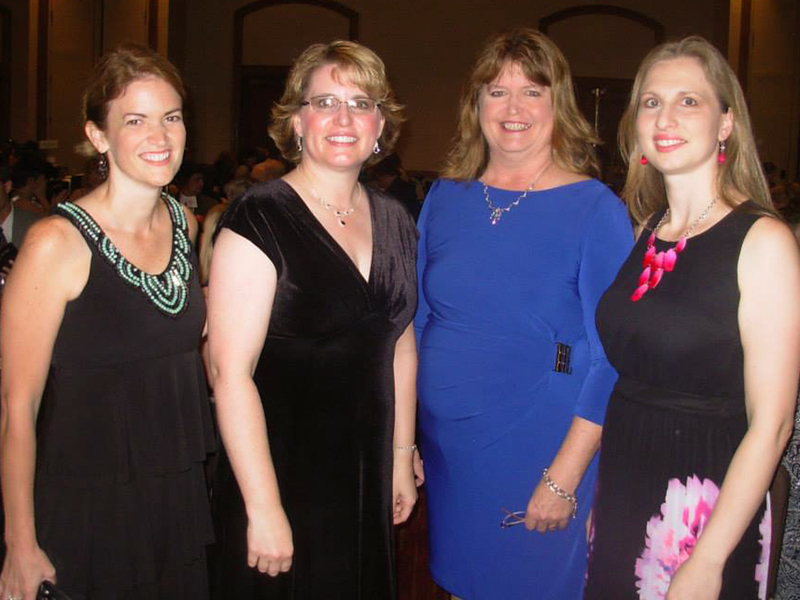 I have some of the greatest fans….or rather people who just like the same kind of books I do! 🙂 Thanks to each and every one of you who read, review, and share with like-minded readers! I thought I’d share a few highlights of A Love So True floating about the internet that made me happy and might interest you to jump on over and take a look! Is that not the most artfully arranged book picture ever? You just can’t have a Teaville book without tea! Visit the blog, Bluejeans and Teacups, to read a review and check out Heather’s lovely corner of the internet. A Love So True has been released! 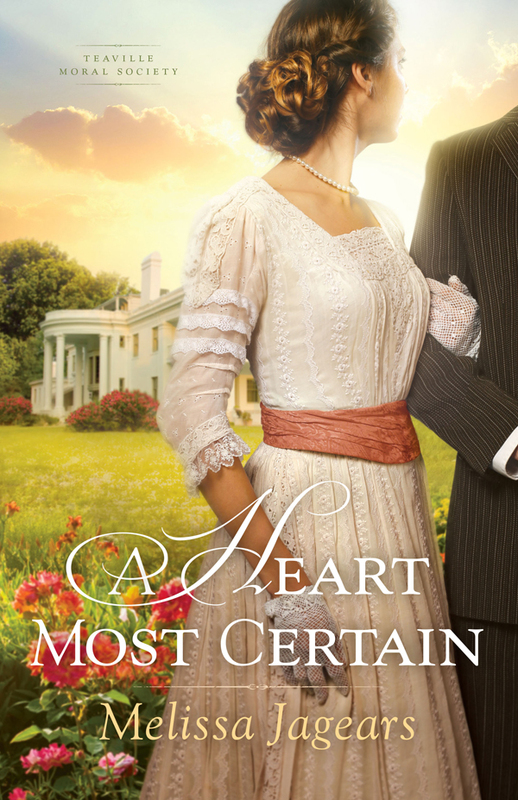 And what’s double exciting for this week, A Heart Most Certain made the shortlist finals for the INSPY awards! Thanks to my readers for nominating me into the longlist! Doesn’t she look good in that excellent pile of authors? My Newest Release is Alive…. 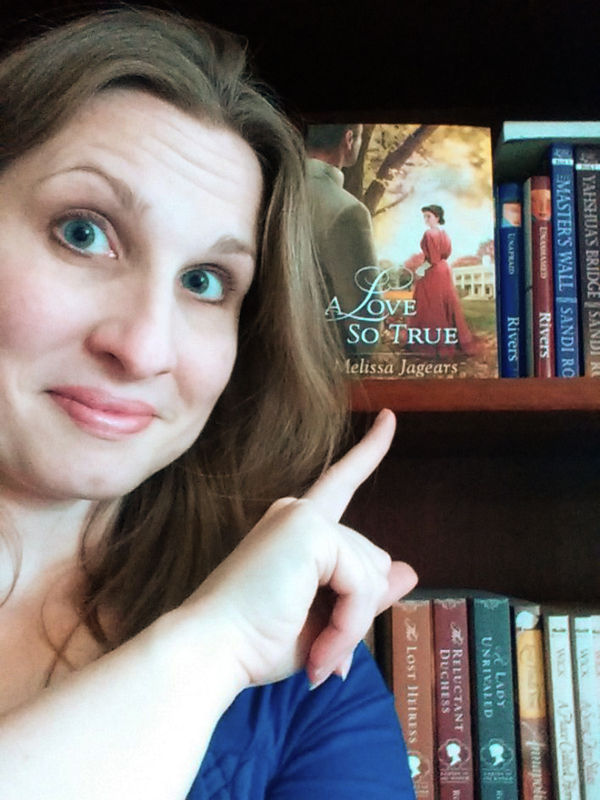 Faith & Life Bookstore in Newton, KS held an author signing and finagled an entire box of A Love So True before it was even supposed to go to print. 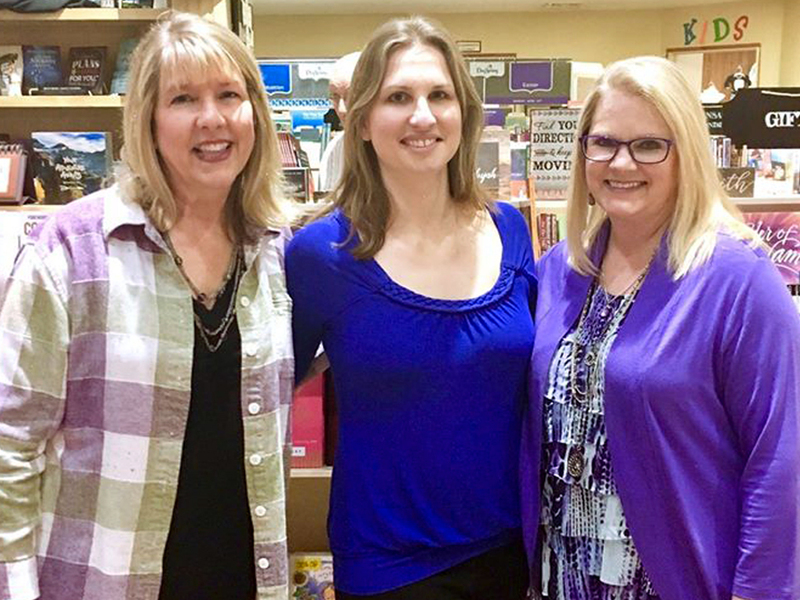 I got to see it for the first time Saturday and had a lovely signing with Deb Raney and Kim Vogel Sawyer. I had to buy one for myself! Doesn’t it look pretty up on my shelf? A Heart Most Certain should be available to purchase wherever books are sold! If it’s not at the store you’re browsing, you can always ask them to order it for you. And Love by the Letter is now in print! 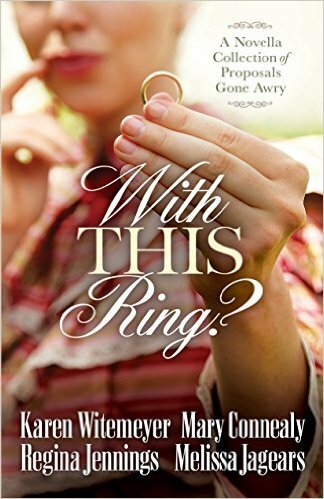 If you ever wanted a hard copy of the freebie novella that started my last series, now you can. You might even spot this at your local Walmart! This month, this picture from 2014 came alive in book form! And I got to read it for the first time (except for mine of course). Karen’s story, The Husband Maneuver, has a fun dime novel excerpt at the beginning of each chapter that is used very creatively at the end. Regina’s story, Her Dearly Unintended, shows you exactly what strange and unexpected things can happen when the Lord let’s that creek rise! 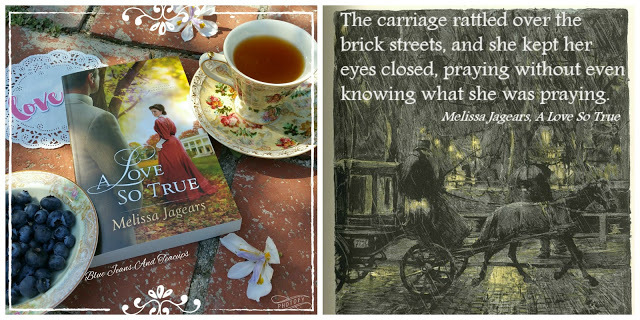 Mary’s story, Runaway Bride, interlaces an extended epilogue for some of her books with a marriage of convenience story with new characters that steal your heart right quick.